Get Backinto the swing of things. 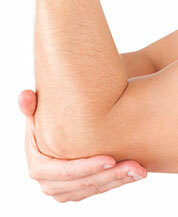 Are hand, wrist, elbow, or shoulder problems keeping you from your favorite activities? State-of-the-art procedures at the Hand Center of Nevada can help to reduce or eliminate discomfort and get you swinging again. Our extensively trained orthopaedic surgeons will customize a treatment plan that best suits your needs and lifestyle while providing the most effective care possible. Carpal tunnel syndrome can make many activities difficult or impossible, particularly if you work in an office. If pain, stiffness, numbness, or weakness in your fingers and hands is limiting your ability to function normally, our skilled hand surgeons have a broad range of effective treatment options available to address your symptoms and to alleviate your discomfort. Work doesn’t have to hurt; let us show you how we can help. Navigating insurance paperwork can be as agonizing as an injury, but we’re here to help. Our friendly and knowledgeable medical and administrative team will walk you through the process of your workers’ compensation claim so you can focus on your recovery and get back to work as quickly—and as stress-free—as possible. Don’t let arthritis stop you from enjoying life! The hand Center of Nevada offers a comprehensive array of advanced shoulder arthritis treatment methods designed to reduce pain, improve function, and enhance your quality of life. Stop holding back and start thriving with the help of our innovative care options that put your health, wellbeing, and happiness first. At the Hand Center of Nevada, our upper extremity surgery specialists Dr. George Gluck, Dr. James Vahey and Dr. Alan Micev understand how important functional hands, wrists, elbows, and shoulders are to your quality of life. As a result, we prioritize personal attention, compassion, safety, and results. We believe excellence can be attained at every step of the process, and we would like to begin by offering a helpful online resource on the latest procedures designed to restore health and mobility to your hands and arms. Browse our website to find a wide range of information about our skilled physicians, state-of-the-art practice, advanced treatment options, and much more. Exceptional care is our standard, and we look forward to helping you thrive. The hands are some of nature’s greatest tools, and as such they are utilized daily for nearly every task, from simple to complex, delicate to demanding. At the Hand Center of Nevada, we offer a wide array of treatment options that can address the numerous conditions that can affect the hands and fingers, including arthritis, sports injuries, congenital deformities, carpal tunnel, and many other concerns. If you experience stiffness, discomfort, or pain when using your hands, we can help. Wrist pain can be highly debilitating, and there are numerous causes that can reduce comfortable function of this key joint. Our comprehensive selection of wrist treatments can be customized to suit your condition, whether you’re suffering from tendonitis, arthritis, a fracture, a ligament injury, or another problem. Our extensively trained hand surgeons and friendly and knowledgeable staff are dedicated to enhancing your wellbeing and to helping you achieve your goals. Conditions affecting the elbow, which include arthritis, sports injuries, fractures, ligament and muscle tears, joint dislocation, and many more, tend to be complex in nature and often require great skill to treat effectively. At the Hand Center of Nevada, our fellowship-trained surgeons will tailor a treatment plan to suit your unique anatomical needs, whether you’re 5 or 105. To learn more about how you can reduce pain and improve function of your elbow view the extensive list of conditions that we are trained to address. Whether you’re active in sports or prefer a more relaxed lifestyle, shoulder pain can severely limit your mobility on a daily basis. Dislocation, rotator cuff and labral tears, arthritis, and clavicle fractures are just a few of the many conditions that can affect this hard-working joint. Our comprehensive range of orthopedic treatment options is designed to help you regain function and enjoy life as fully as possible. 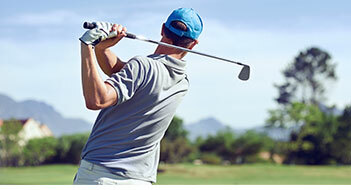 If your wellbeing has diminished due to shoulder injury or joint disease, our customized approach may be right for you. Latest Newsfrom our blog "All About the Arm"
Why does my finger click and catch? Dr. Micev discusses the answer.